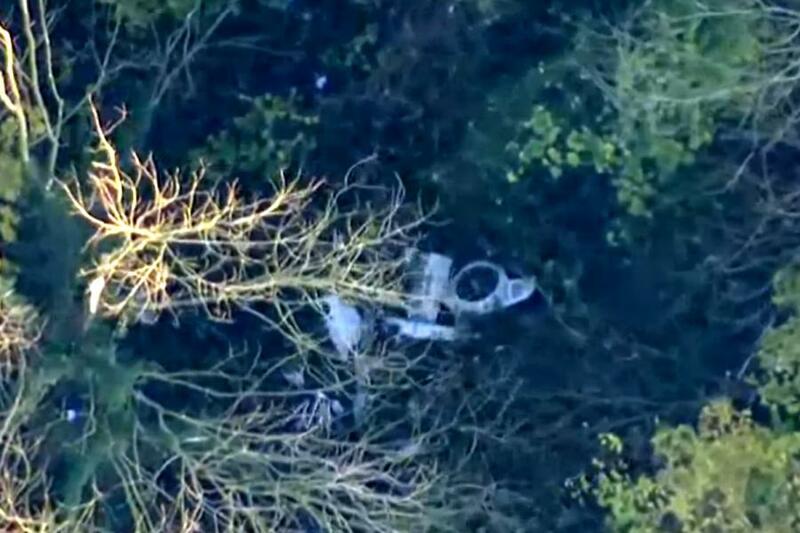 London (MD) An emergency operation is under way after a plane and helicopter crashed mid-air and plummeted to the ground close to a village in Buckinghamshire. Rescue personnel have confirmed the death of four persons in air-accident. According to reports It is not yet clear how many people were on-board at the time of the crash but it has been confirmed both aircraft involved were from Wycombe Air Park, near High Wycombe. A spokesman from the Bucks Fire and Rescue Service confirmed that they were assisting with a “collision between a light aircraft and a helicopter” but could not say if anyone had been injured. A Berkshire Fire Service spokesman confirmed it had also sent an off-road vehicle from Maidenhead. The crash is believed to have happened over woodland on Waddesdon estate, near to a historic manor house owned by the Rothschild family. The spokesman said seven fire and rescue vehicles were at the scene assisting Thames Valley Police and paramedics.